Topps Prime Football returns for 2012 and comes on strong. The hit concentration is heavily on the Rookie class in auto, auto relic booklet cards and multiple tier level hit form. With all of that hit goodness it is still hard to miss the amazing full bleed photograph that makes these base cards stand out. Topps Prime Football falls under our premium cards category. Each box contains 10 - 6 card packs and promises 1 Autograph, 1 Autographed Relic and 2 additional Relic cards. Here are some of the cards we pulled from our box. A completed boxed set of cards seems counter intuitive for collectors who are set builders. But one cannot deny the convenience of have the entire base set in one convenient box. As with most recent collections, 2012 Topps Football Complete Set NFL Trading Cards offers all the base cards with a bonus found exclusively in the product The departure from mimicking the design of the current year’s flagship baseball release makes for a great design and a desirable set to own. Clearly, this package gets classification as a boxed set for the purposes of this review. Inside you’ll find the complete 440 card base set, no alternate photo versions or inserts, and each boxes contains a pack of five Orange-Bordered parallels. For the most part, this review will mimic our previous review of 2012 Topps Football because the cards are the same. Here are some of the base set cards. 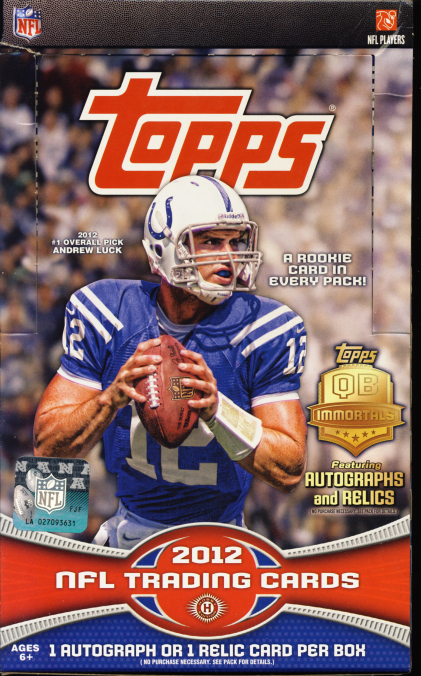 There have been some changes to the foundation Topps Football release, the most noticeable being the departure from mimicking the design of the current year’s flagship baseball release. All of these changes and additions provide more than enough content to appeal to all types of collectors. With excellent photography, great looking inserts, 1957 style Rookie cards, 1965 Tall Boys and strong hits make 2012 Topps Football a must purchase. 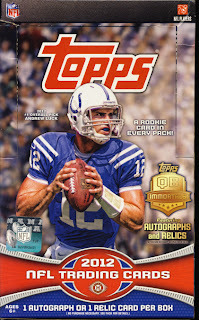 2012 Topps Football falls under our classification of trading cards. There are several configurations of retail and hobby exclusive packaging. We opened a hobby box of 36 packs with 10 cards per pack with the promise of one autograph or relic card. 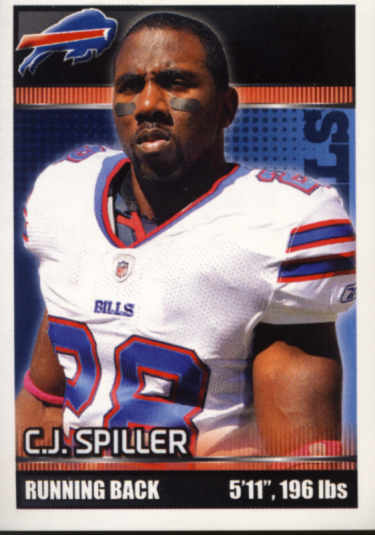 Here are this week’s Panini NFL Stickers Players to Watch. 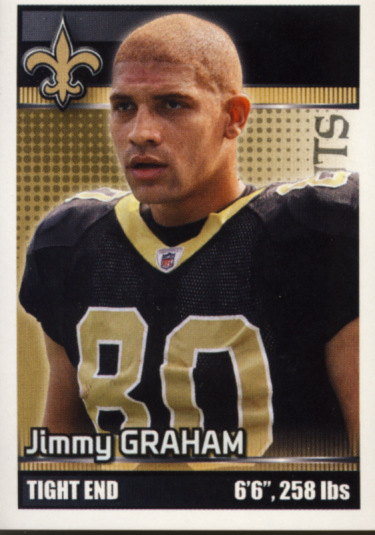 Our featured players for Week 16 are Tom Brady, Jimmy Graham, and C.J. Spiller.